WORLD : South Africa has been pitched into an unprecedented political crisis after the country’s African National Congress (ANC) party admitted that President Jacob Zuma, in power since 2009, had defied its orders to resign, and that it had little idea of when the 75-year-old head of state would respond to its demand to leave office as he is not legally obliged to do so. 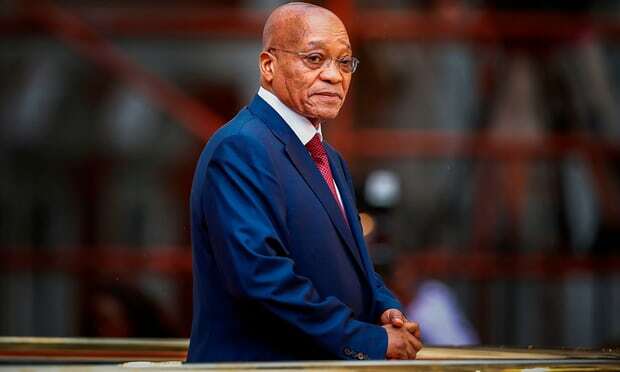 The president, who was replaced by Cyril Ramaphosa as ANC’s party head in December, agreed to step down, but only in the next three to six months. The Guardian reported that the decision to tell Zuma, who faces multiple charges of corruption, to stand down was taken at an emergency session of ANC’s National Executive Committee, the party’s highest decision-making body, on Monday evening, and conveyed to the president about midnight. Ace Magashule, the ANC’s secretary general, confirmed on Tuesday that the party had decided to “recall” Zuma from his “deployment as president” but said that no deadline had been given and there had been no discussion of bringing a motion of no-confidence to oust him. “When we recall our deployee we expect him to do what we tell him to do … We are expecting the president to respond tomorrow … there’s no deadline,” Magashule told a press conference in Johannesburg. The failure to immediately force Zuma from office will be seen as evidence of deep divisions within the ANC, and underlines the failure of Cyril Ramaphosa, deputy president and the party’s leader, to impose his authority on the organisation.